Philosophical and haunting, Lois Lowry's Giver series is a thought-provoking trilogy that piques the interest of many young readers. The chapter books are social science fiction and fantasy novels that take readers through utopian to dystopian societies. Social science fiction is a splinter of science fiction that focuses on human behavior, relationships and sociological issues. The Giver trilogy encourages readers to reexamine their ideals through utopian and dystopian models. Utopian represents the ideal society that is free of disease and suffering. Dystopian represents a horrible, impoverished society. The three books in Lois Lowry's Giver series take readers to very different futuristic places. Offering speculation about possible courses humans may take, the books are intriguing and disturbing. They are fascinating as well. Lowry uses simple language to convey complex concepts, which can make them high interest books for low level readers. Imagine a futuristic world that is seemingly perfect; there is no poverty, no conflicts and no divorces. Everyone demonstrates good manners. Teens don't rebel, and family values are of the utmost importance. The utopian society is free of crime and disease. Each family has two children, one boy and one girl. For Jonas, the main character of The Giver, this world is quite real. The problem is that there are also no memories in this society. People in this perfect world don't want to change. They don't want to make decisions, as these activities can disrupt the system. One person in the society keeps all memory of history, societies and individuals. Jonas is a 12 year-old boy who has been assigned the life position of "Receiver of Memory," a highly respected job. As the Receiver, Jonas has to make decisions for everyone based on lessons he has learned from the past. The Giver is an unnamed man who passes the memories to him. Jonas takes in experiences through his five senses; all of the memories, and of the horrors unknown to him. He also learns of the beautiful things that are now absent from his world. Imagine a futuristic world that is hostile and frightening. The society does not accept the weak and flawed. In this dystonia, a crippled, orphaned girl like Kira would be left to die, but she has a special talent that keeps her alive in this brutish world. She has a gift for embroidery which leads her to the important task of creating a ceremonial garment. The garment depicts the history of the world. Gathering Blue is filled with symbolism, from the task of weaving to finding the color blue. Although it presents the polar opposite of the society represented in The Giver, the book does have subtle ties to the first book in the trilogy. Messenger interweaves characters into Village, a place that takes in outcasts from other places. The inhabitants of Village are kind and friendly, and it is a simple society. Seer is an old blind man who has a gift for seeing what other people can't. He takes in Matty, a boy who hopes to be named Messenger when he is given his adult name. 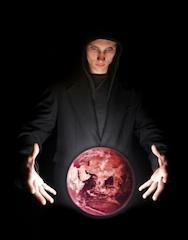 The otherwise kind society has been infiltrated by something malevolent, and the inhabitants are losing their kindness. Village may become closed to outsiders, and Seer sends Matty to bring Kira (the main character from Gathering Blue) to the community before it closes. The trilogy is loosely tied together, and each book can stand on its own. The Giver takes readers to a sterile, high-tech future, and Gathering Blue sends the reader to a primitive society, stripped of technology. Messenger takes the reader somewhere between; a utopia on the cusp of a dystopia. The books aren't for everyone, and some reviews note that some events in Messenger are disturbing. 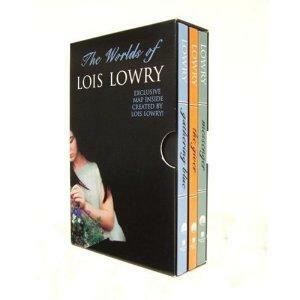 The collection falls into the social science fiction, but Lowry does have other choices for readers. Number the Stars is an example of Lowry's other books that may interest readers. This books falls into the historical fiction genre, and it offers lessons about morality and friendship. Lowry is a prolific writer who tackles complex topics using simple, yet intriguing, language. If you opt to introduce your child to Lois Lowry's Giver series or another selection of hers, you are opening a world of imagination.